In these volumes, the works of eighteenth-century clergyman Augustus M. Toplady are collected. These writings encompass his passionate Reformed stance, and contain many of his sermons, letters, essays, and political writings. Included is Toplady’s historical account of Calvinism and its political and theological impact, biographies of theologians of the day, as well as intense debates over Calvinism with John Wesley. A fervent Calvinist and controversial figure throughout his lifetime, and contemporary of George Whitefield, John Gill, and William Romaine, Toplady also composed several famous hymns, including "Rock of Ages." These 6 volumes contain not only a definitive defense of Reformed thinking, but also significant eighteenth-century theological writings. With nearly 3,000 pages of material, the reader will gain a greater understanding of the historical influence of Calvinism, as well as other components of Toplady’s considerable theological knowledge. The Works of Augustus M. Toplady (6 vols.) is essential for any student, professor, or anyone interested in learning more about the doctrine or history of Calvinism. The first volume includes a complete biography of Toplady, as well as an introduction to his defense of Calvinism. The rest of the volume is divided into various sections on the history of Calvinism and its impact on European politics. Toplady seeks to prove the relevance and truth of Calvinism against Arminianism using historical evidence, biographies, and Scripture to back his claim. The second volume is a continuation of Toplady’s assertion of Calvinism. He discusses the accession of James I, pointing out the Calvinistic beliefs of James, as well as the publication of the King James Bible. He traces events right up to the reign of Charles II, and then compares Puritanism and Calvinism, the benefits of Calvinism for society, and a succinct chronology of England from Egbert to Henry VIII. 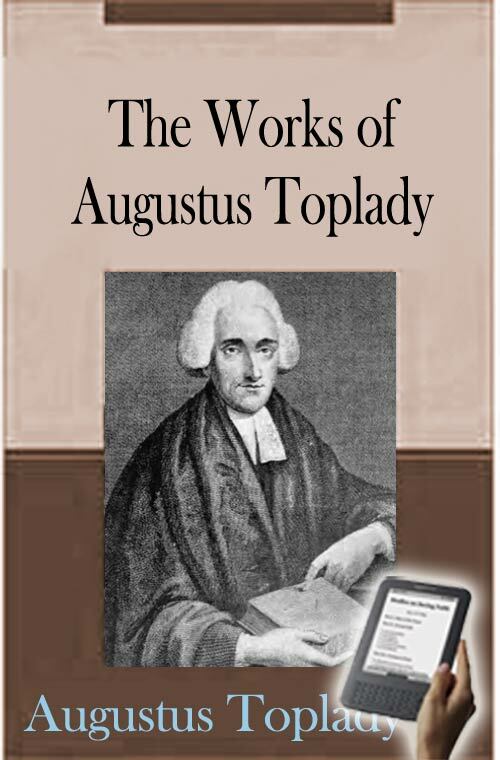 Toplady’s third volume contains ten sermons, speeches, and several essays on Scriptural and political subjects. Some of the topics covered are marriage, the Apostle’s Creed, Advent, and the assurance of faith. He also includes a section on unsound doctrine. This fourth volume contains many biographies of the famous theologians of Toplady’s day, including Isaac Watts, George Whitefield, and Elizabeth Rowe. There is also an account of natural history, female education in the 1700s, and some miscellaneous remarks on historical incidents. Toplady returns to his argument in defense of Calvinism in the fifth volume. Including letters, essays, sermons, biographies of influential Calvinists, as well as a translation of Zanchy’s The Doctrine of Absolute Predestination Stated and Asserted, Toplady goes over the five points of Calvinism in great detail, as well as advising how to preach on this topic. This work also has some miscellaneous essays on topics such as perseverance and family prayer. In the sixth volume, Toplady includes his debates with John Wesley over the doctrine of Calvinism. He includes topics such as philosophical necessity and Scriptural references concerning this issue. This volume also contains an essay on the qualities of matter, a collection of letters, poems and hymns, a table of contents and an index for all six volumes.